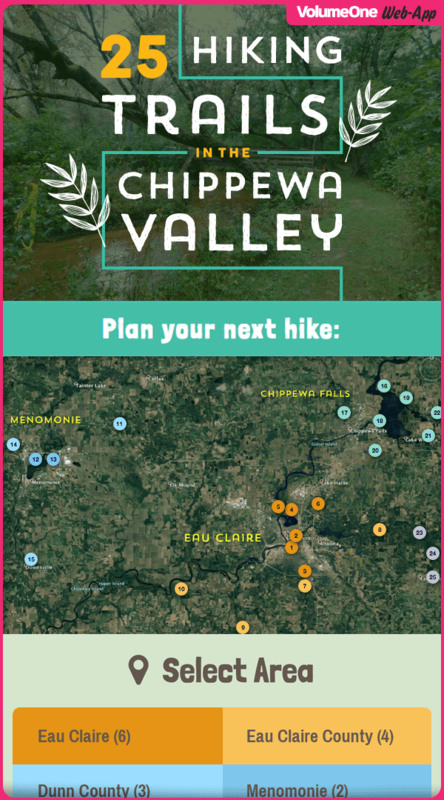 Flip thru all of the hiking trails with our interactive Web-App. The Wildwood Trail is a seven-mile off-road hiking, biking and snowmobiling trail on a former railroad right-of-way, which runs from the Village of Woodville south to the St. Croix/Pierce County line, through the Town of Eau Galle. 3 miles - Located next to the Hillcrest Golf Course.